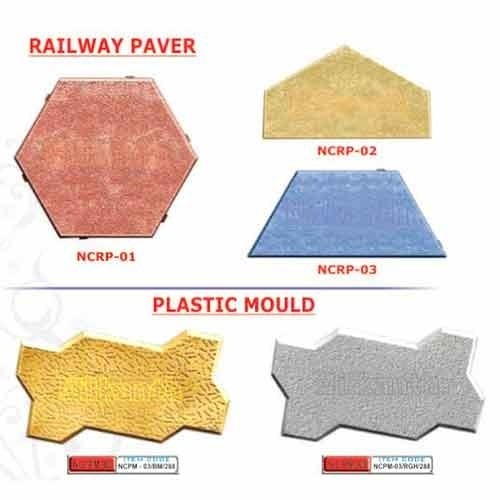 Established in the year 2013, we “Nilkanth Cement Products” are reputed manufacturer, exporter and supplier of qualitative range of Drain Cover Frames, Grass Pavers, Cover Block Moulds, Slab and Flagstones, Kerb Stones, Solid and Hollow Bricks, Combo Pavers, etc. Under the leadership of our mentor, “Mr. Taral Lakhani,” we have emerged as a leading company in this domain. His vast experience and strong focus on quality has enabled us to gain a huge client base all across the nation. We also export our products to London, Hong Kong, Thailand and Africa. Located at Surat (Gujarat, India), we are supported by a modern infrastructural base comprising various units such as production, quality testing, R&D, sales & marketing and warehousing & packaging. Our production unit is outfitted with all the requisite machinery and technology in order to process products at high production rate. To handle all units in an efficient manner, we have employed a team of adroit professionals. We are having our global presence in countries such as London, Hong Kong, Thailand, Africa, etc.